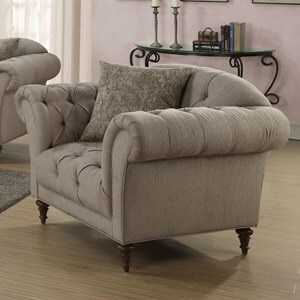 This plushly upholstered loveseat features diamond button tufting accenting the backrest and the rolled arms. The loveseat is upholstered in a traditional light brown herringbone pattern and is supported by solid wood turned legs. The loveseat includes two accent pillows. 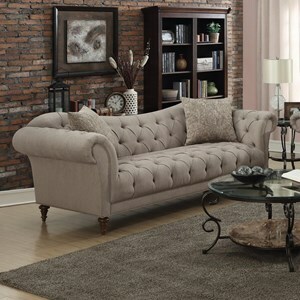 The Alasdair Upholstered Loveseat with Button Tufting by Coaster at Value City Furniture in the New Jersey, NJ, Staten Island, Hoboken area. Product availability may vary. Contact us for the most current availability on this product. 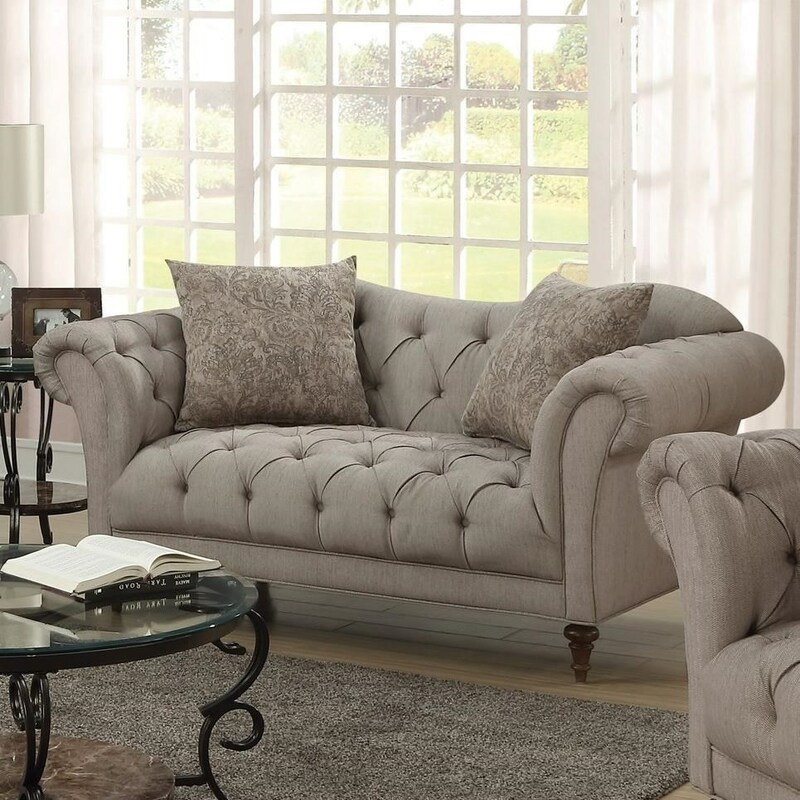 This classic upholstery collection has sophisticated traditional style. Plush button tufting accents accentuate the rolled arms and curved back. Pieces are upholstered in a herringbone brown fabric and are supported by solid wood turned legs. The Alasdair collection is a great option if you are looking for Traditional Casual furniture in the New Jersey, NJ, Staten Island, Hoboken area. Browse other items in the Alasdair collection from Value City Furniture in the New Jersey, NJ, Staten Island, Hoboken area.